I've written previously about the Microsoft Glossaries, and how the freely downloadable set of glossaries was superseded by the Microsoft Language Portal. The glossaries are still available for download (as "UI translations"), but only to paying MSDN or Microsoft TechNet subscribers. Some Microsoft technology, however, is available for download from the Microsoft Language Portal: you can download, in TBX format, the Microsoft Terminology Collection in various languages. 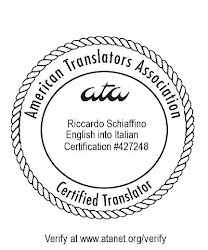 The number of terms included for each language differs due to the varying levels of localization (for Italian there are 18,520 terms) - it is however, a useful set of terms for anybody working on the translation of software files (at least, for Windows). You can use the tbx files directly with such a tool as Xbench, or you can import them in most terminology tools. Another useful thing to download from the Microsoft Language Portal is the style guides for the languages you work with - the one style guide not available for download is the English Style Guide (sold by O'Reilly as the Microsoft Manual of Style). Thanks so much for this! Just downloaded the style guide for Japanese, and it's already interesting stuff.